Andrew and Jane Williams are your hosts at Fairbairn House. They designed the house themselves, it was completed in early 2016 and won the 2017 Gold Award in the Registered Master Builders Awards for this region. Andrew and Jane have travelled extensively, staying in all sorts of accommodation around the world. Many of the great design features, the furnishing of the house, and the warm hospitality they offer, have come from their own travel experiences. Andrew has an international business background, and a political career in local and central government. Jane has had a long career as a registered nurse, more recently specialising in child health and primary care. Fairbairn is a Celtic family name passed down through many generations. ‘Fair-bairn’ means fair child or beautiful child. Jane and Andrew have three adult children, with their two daughters both having Fairbairn as a middle name. 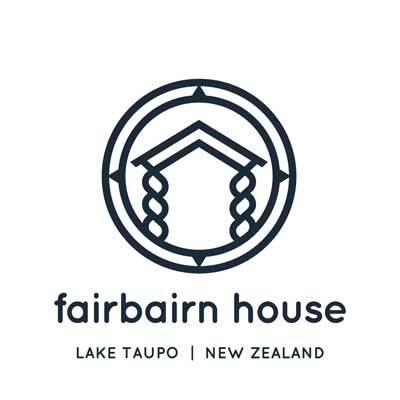 The Fairbairn House logo is a circle depicting all four points of the compass, in keeping with the 360 degree views from the property. The vertical pillars represent a Celtic rope supporting the home’s peaked roof.